In terms of best practices for ensuring that your TMA truck is as safe as it possibly can be, one of the most important safety features for your truck is that it is equipped with air brakes. 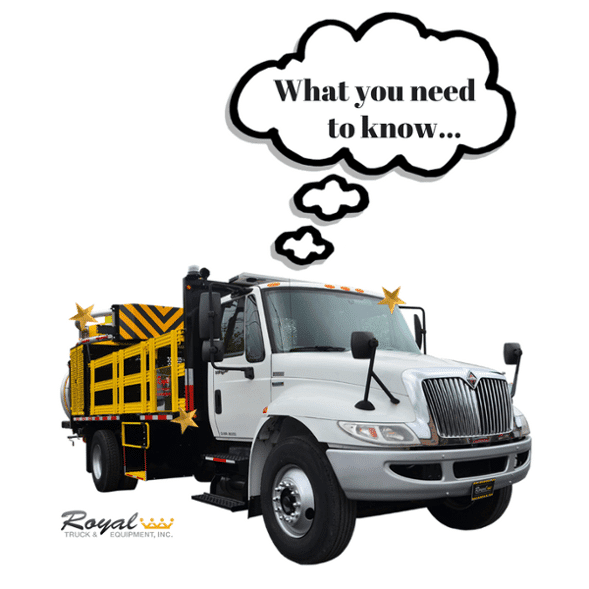 While it is an often-overlooked element of a TMA truck’s build, air brakes could be the difference between a safe work zone and a potentially disastrous operation. How Do Air Brakes Work? How Do Hydraulic Brakes Work? When looking at TMA trucks, there are two main types of braking systems: air and hydraulic. To understand why air brakes are best practice to equip your TMA truck with, we must first understand how each system operates. To summarize, when you press the brake pedal, hydraulic fluid pressurizes the brake pistons which push the brake pad against the drum, using friction to stop the car or trucks. 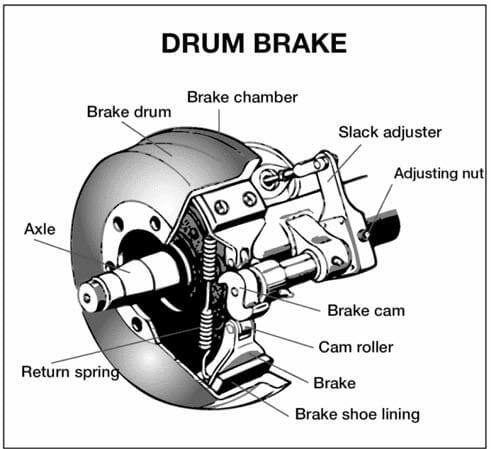 Simply, as its name suggests, air brakes utilize air pressure to push the brake shoes against drum and thus, stopping your truck. So now that you know exactly how each braking system operates, we can now begin to explain why exactly your TMA trucks should always be equipped with air brakes. While hydraulic brakes are fairly effective on smaller passenger vehicles, they simply are not as effective or reliable in being about to stop a 20,000 pound or greater TMA truck when its attenuator is crashed into. In terms of effectiveness, air brakes have a significantly greater stopping power compared to hydraulic braking systems. In a real life scenario, a better stopping power translates to a shorter distance the TMA truck would need to come to a complete stop after it is struck by an errant vehicle in a work zone. Ultimately, stopping power is crucial to safety. If a truck can not stop in time, it has the potential to run into the work crew it is there to protect, causing injuries and even death. Simply put, air braking systems are safer and more reliable than their hydraulic counterparts in several different ways. First, to see why air brakes are a more effective solution, we need to take a look at how both systems handle a worst-case scenario: a leak. In a hydraulic braking system, if there is a leak in one of the cylinders causing braking fluid to leak, the brakes would lose some or all of its initial stopping power. In a work zone, if the TMA truck is not able to stop itself post-collision, there would be a significant possibility of a fatal outcome as the truck would likely run into the work crew it was there to protect. In the same worst-case scenario, a truck equipped with an air brake system would handle the situation in a much different manner. The reservoirs, which hold the air used to engage the brakes, are much better suited to handle a system failure. In fact, even if the entire brake system fails, the reservoirs are, “6 to 12 full brake applications.” To put that in reference, a truck does not even need 1 full application to come to a stop. Ultimately, in a worse-case scenario, a truck equipped with air brakes still has the ability to stop itself. The other predominant way air brakes are a safer and more reliable option for your TMA truck is that they are always activated. As It Still Runs explains, “Triple-valve system air brakes however, are in the activated state by default and are released only with compressed air pressure. When the vehicle is started, the compression begins and the brakes are released when the vehicle is put to motion. Thus, if there is a leak or even if the compression mechanism completely fails, the brakes revert back to their default, activated position and the vehicle is brought to rest.” As hydraulic brakes run in the complete opposite manner, air braking systems emerge as the clear safer and more reliable option. The other biggest question we get regarding air brakes is what kind of endorsement is needed to drive a vehicle with air brakes. To help answer this and other common questions about air brakes, we have compiled a list of the 5 most common questions about the logistics of driving a truck with air brakes. Do you need a CDL to drive a truck with air brakes, even if the truck is under 26,001 pounds? How do I get an air brake endorsement? Let’s clear things up: there is no such thing as an “air brake endorsement.” Unlike many other tests, air brakes work on a system of restrictions rather than endorsements. That means that until you pass an air brake test, both the knowledge portion and the skills portion, you are restricted from driving a commercial motor vehicle (CMV) with air brakes. When you pass that tests, however, you do not get an “air brake endorsement”, but rather you lose the restriction on your CDL. If you are in the process of getting your CDL, you can take the air brakes knowledge and skills test at the same time as when you are taking your CDL knowledge and skills test. I already have my CDL, but I also have an air brake restriction. Is there a way I can take the test? Yes! Fortunately, the air brake mark of restriction on your CDL is not permanent by any means. You can, at any time, go back and remove the restriction. All you have to do is pass the air brake knowledge and skills test at your local Department of Motor Vehicles location. How much does it cost to take the air brake test? Unlike the CDL regulations themselves, the cost of air brake tests varies significantly from state to state. For example, it costs a combined $35 to take the knowledge and skills tests for air brakes in Connecticut but in Oregon it costs $10 to take the written test and $56 to take the skills test. Contact your state’s Department of Motor Vehicles to find out the costs of an air brake knowledge and skills test. What information is on the test? How should I prepare for it? How do you know exactly what will be on the test? The best way to know exactly what to prepare is by consulting your state’s CDL training manual. Simply put, anything and everything regarding air brakes may be on the test. This means that you cannot simply pass the test without studying for it. Fortunately for you, there are a vast amount of practice tests online to prepare you are the written portion of the test. Remember, it costs money each time you take the test! By being as prepared as possible and passing the test on your first attempt, you are only saving yourself money! 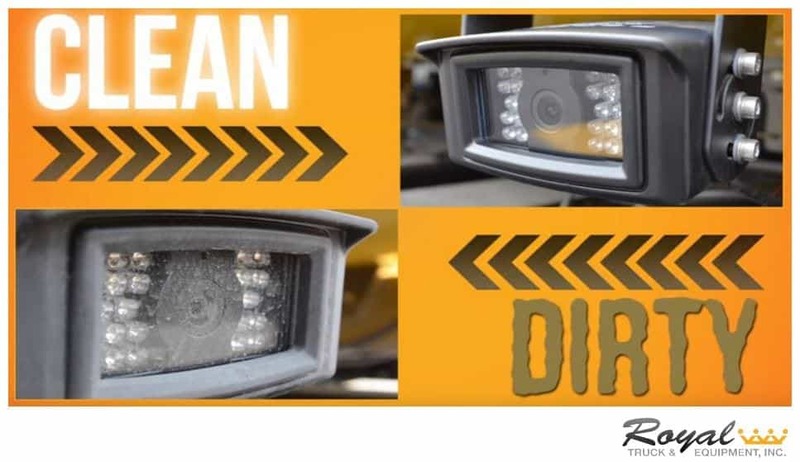 TMA trucks are literally designed to absorb the impact of a car or truck running into its attenuator. It is not enough to just absorb the impact, though. They truck must be able to do such while also being able to stop itself before running into the workers it is there to protect. In the debate of air brakes versus hydraulic brakes, air braking systems far outperform their counterparts in terms of not only performance but also safety and reliability. With any TMA truck in your fleet, an effective braking system is vital to ensure your work zones are as safe as they possibly can be! If you are adding hydraulic brakes to your TMA trucks, the higher risk of failure is not only a risk to lives of the workers in your crews, but also to passing motorists in the area. Do you have any questions about how air brakes work or about their effectiveness on TMA truck? Leave a comment below and let us know! A member of Royal’s team will answer your question as soon as we can!